Are the Pebbles Fruity or Just Me? As I sit here in the sunroom, watching the Michigan/Tennessee game with my husband (boy, it’s nice to be able to sit in the sunroom without the heater on) I reminisce over the day . . .
Did you know that I sat in my dogs water bowl today? Yep. 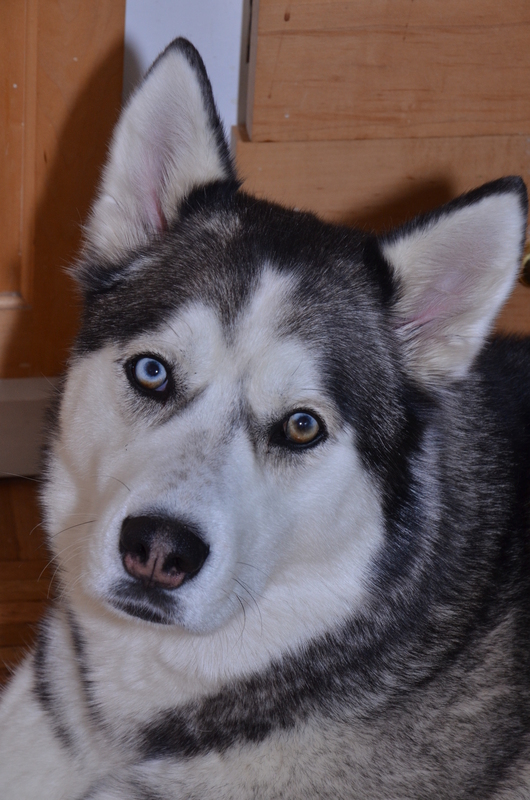 I was on the floor, cleaning off all the mud that my Siberian Husky, Jericho, had on his paws (he prefers walking through my garden rather than on the grass) when I backed up and sat in his water bowl. I can only imagine what he was thinking as I was sitting in his water dish. I’m so thankful he loves his fruity mommy. 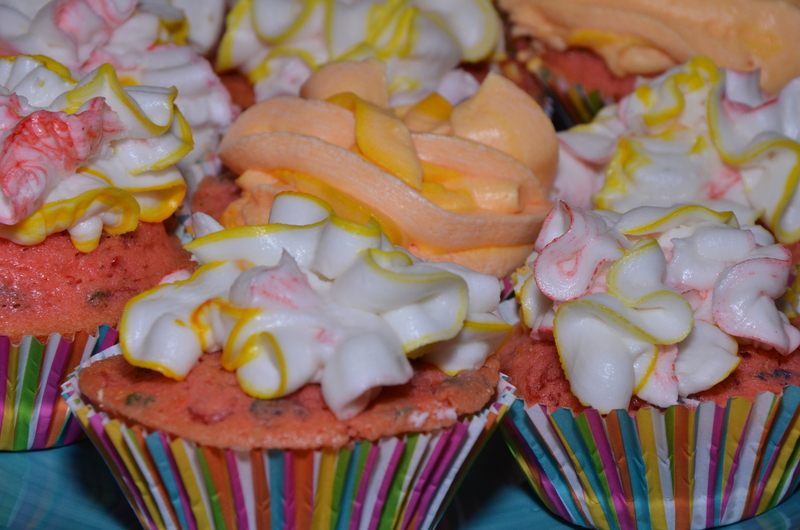 So let’s move on from the fruity person to the Fruity Pebbles Cupcakes Recipe. 1. 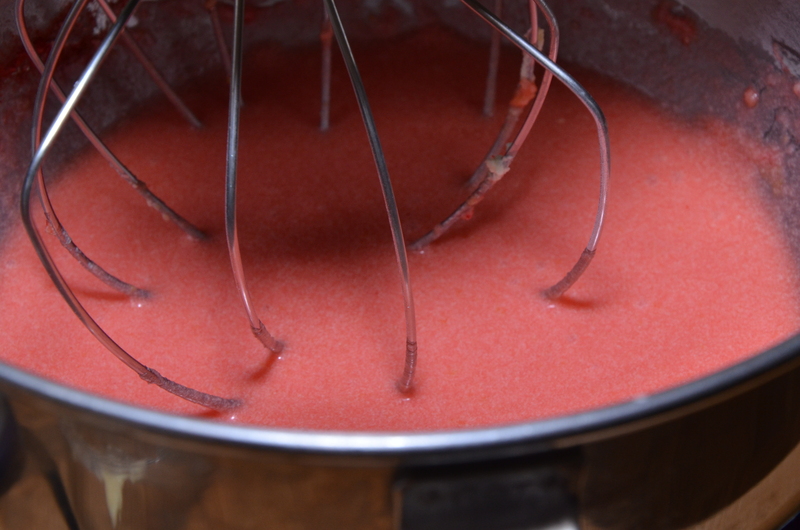 Mix cake mix, Crystal Light Fruit Punch powder and butter. Add eggs and water. 2. Crisco cupcake pan. I found that if I use liners with gluten free mixes, the mixes stick to the cupcakes and you lose half of the cupcake when you go to eat it. 3. 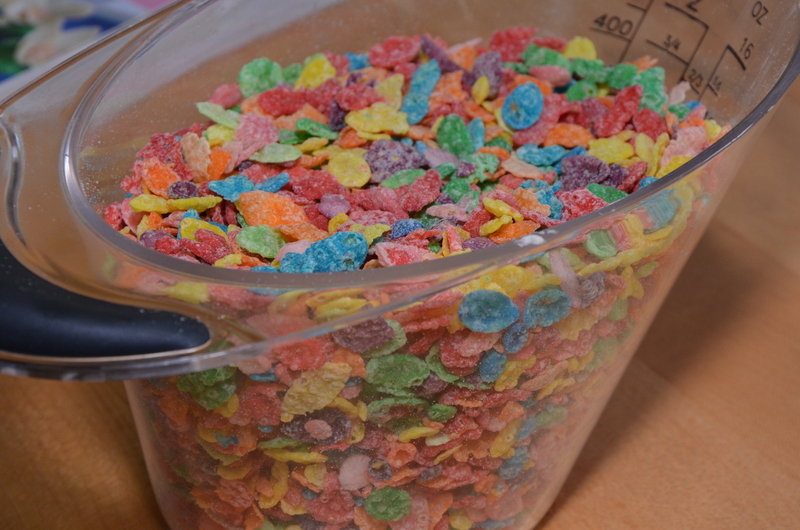 Add Fruity Pebbles to the cupcake mix and slowly stir. 4. Pour batter directly into the grease cupcake tin cups. Fill close to the top (these will not rise very much). 5. Bake on 325 for 25 min. 6. Make the buttercream frosting using the above recipe. 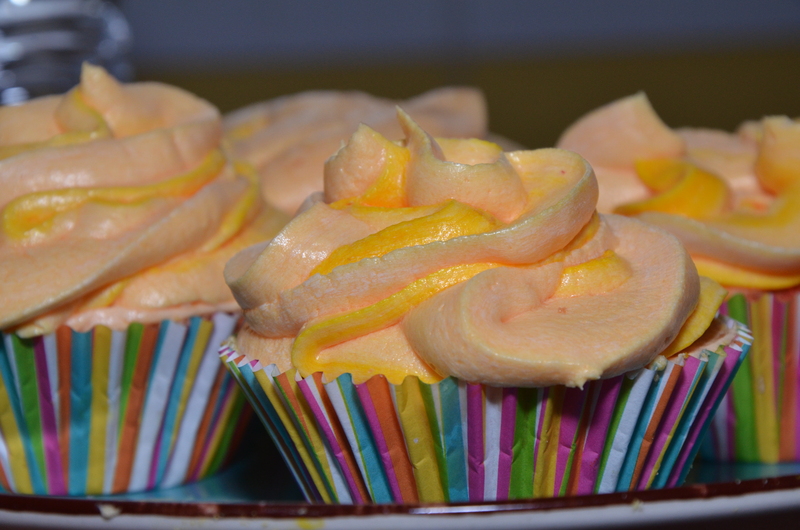 Mix in 2 packets of lemonade Crystal Light mix to make lemonade buttercream. Yum! 7. 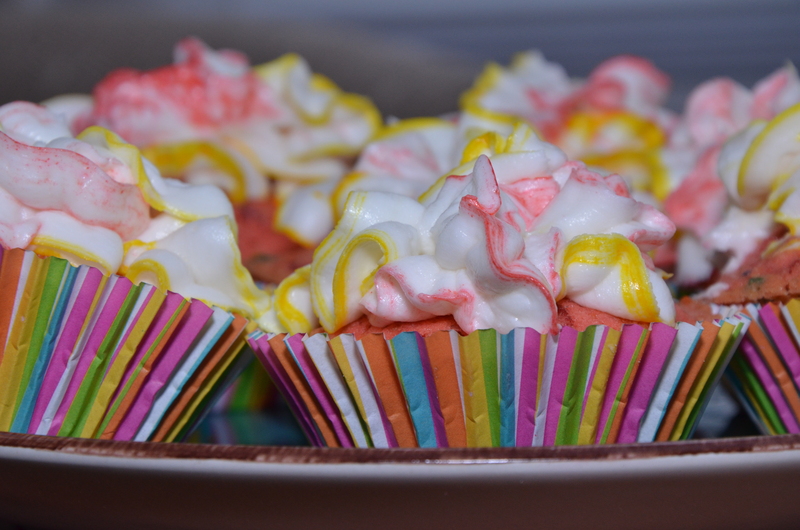 Carefully remove the cupcakes from the tin and put on a separate plate to cool. 8. 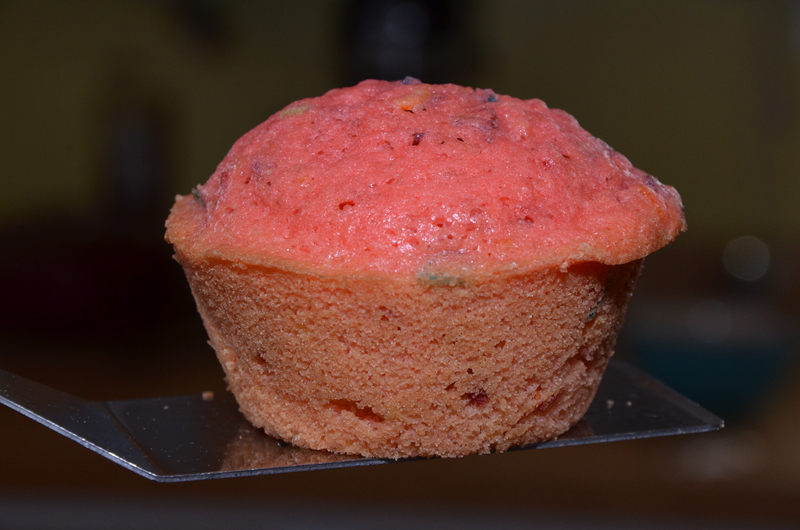 Once cooled, place in a cupcake liner. 9. 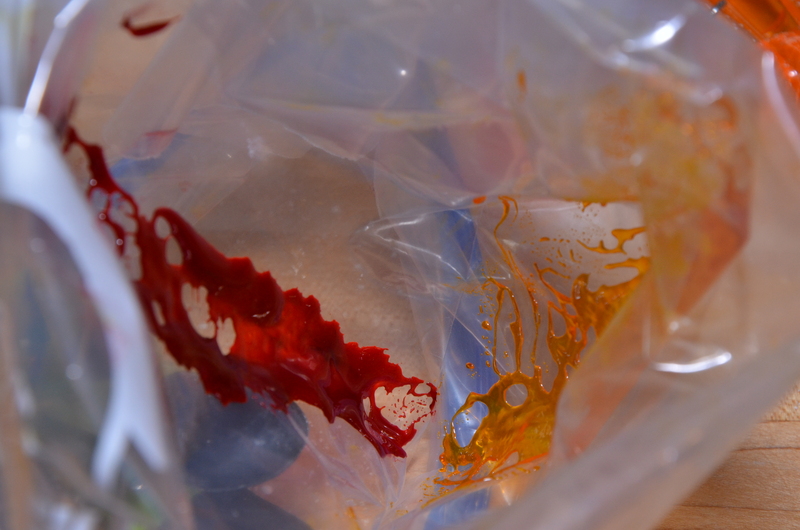 In a freezer bag (such as ZipLock), cut the desired pattern for the desired design. Please see the tutorial for further explanation. 10. To make two tone colors, paint a stripe of your desired colors (I used pink and yellow icing gel) on opposite sides of the freezer bag and then fill with your buttercream and pipe. Final Result . 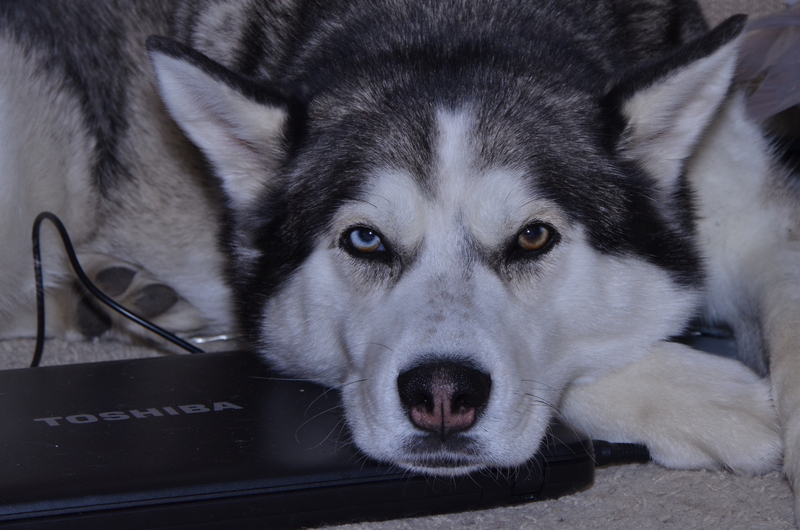 . . . .
After that sugar rush, Jericho is sleepy. Aawwwee. What A cool idea I am going to try this for Brian’s birthday cake. I do the 1 frosting in the plastic bag so I am going to try this and see what happens. And I am going to try the cupcakes also just like that. Awe, thanks! And yes Jericho loves sweets:) Thank you so much for the pans. They will definitely go to good use.